Would you like more information on volunteering at the Museum? Time and the Valleys Museum is a registered volunteering opportunity with Sullivan County RSVP (Retired Senior Volunteer Program). Are you an RSVP volunteer? If so, contact the Museum to see what volunteer opportunities are available. If you would like to become an RSVP volunteer, sign-up now and reap the benefits of volunteering through the RSVP organization. Educator volunteers serve as interpreters for school children, adult chaperones and teachers. No previous experience is needed. The Museum provides all training that is required for this exhilarating opportunity. Join other teens interested in local history. We have great volunteer opportunities and educational programs geared towards teenagers. Special event volunteers direct visitors to event activities, answer questions about the event and assist visitors at special activity areas. Other duties may include ushering, ticket taking, distributing programs and other activities to help ensure that participants have a positive experience and enjoy each special event at the Museum. 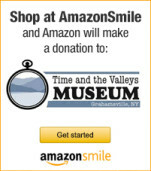 Time and the Valley’s Museum welcome energetic and proactive volunteers to sell memberships and promote the Museum and programs. No previous experience needed, the Museum staff provide all required training. If you love the Museum and interacting with people then this is the job for you! Time and the Valley’s Museum needs energetic volunteers to share local historical knowledge and transform the visitor experience in to one of discovery and meaning. 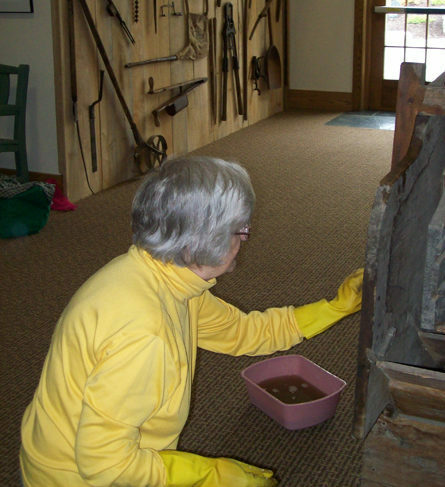 No previous experience needed, the museum provides all training that is required for the job. All that is necessary is your enthusiasm and love of our local history.